Why Buy An Electric Bike Over A Manual One? Why not just buy a motorbike or a moped instead? You may find yourself wondering about some of the following questions. If the whole point of riding a bike is to get some exercise then surely electric bikes are just cheating? What is the actual difference between electric bikes and manual bikes? Are electric bikes basically just gym bikes? Aren’t electric bikes more expensive? These are all valid questions and they deserve answers. 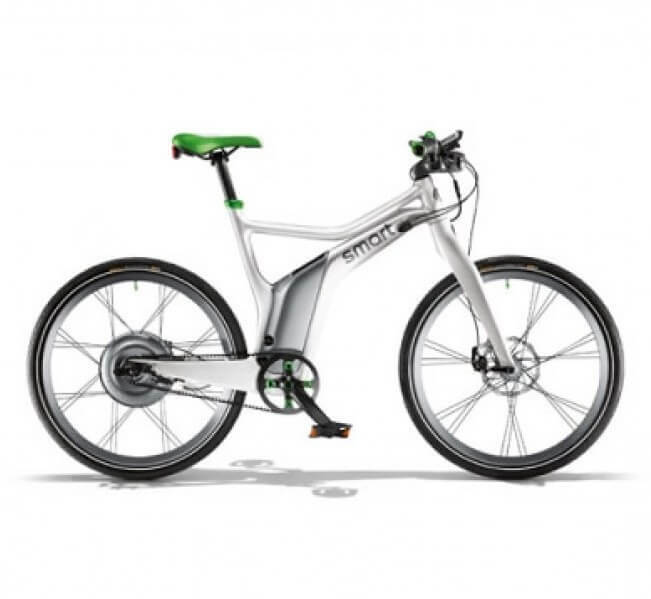 In this article, we will show you the difference between electric bikes and manual bikes and why an electric bike may be the right choice for you. Electric bikes are not the same as motorbikes or sedentary gym bikes. They are actually really similar to manual bikes and they look pretty much the same. The main difference is that electric bikes contain additional electric components including a battery, a motor and a power control system. So why should you buy an ebike instead of a manual bike? Both have their own advantages and you may decide that a manual bike is a better choice for you based on your fitness level and goals. 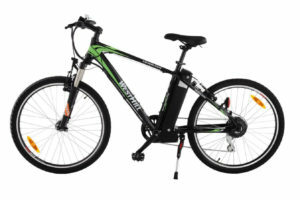 However, electric bikes keep all the good parts of riding a bike, and they can be used as a manual bike, but they also come with additional features that can enhance your ride, help you become a better cyclist and get more out of your journey because you are able to cycle for longer and handle hills. Here are some of the reasons why you may choose an electric bike over a manual bike. If you want to ride your bike to work, but you’re worried about being late or having to wake up extra early to make it on time, then an electric bike could be the solution to all your problems. Riding an electric bike will help you get from a to b more quickly so you can still enjoy your bike ride and spend more time outdoors without having to stress or rush. Not everyone is able to cycle for miles every day and still have enough energy for work. Some people are put off going on long bike rides because they are worried that their fitness level isn’t high enough and some people may find riding a regular bike too intimidating or exhausting. An electric bike will take some of the pressure off you by applying its own power so you can still enjoy cycling without having to put in all the effort yourself. Electric bikes are a particularly good choice for people who are just getting back into fitness and want to take things slow and people who are recovering from illness or injury. They can also help people who are not used to bikes get the hang of riding and ease into full-time cycling if that is what they want to do. Electric bikes are also a good choice for people who simply want to enjoy riding a bike without the added pain, strain and sweat. Do your neighborhood hills put you off riding a bike? 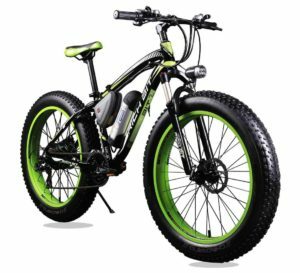 If your chosen route is too hilly for your liking and you are unwilling or unable to ride up and down those hills on a manual bike then you’ll be pleased to know that an electric bike could make everything a lot easier. These bikes will help you power up hills in less time so you won’t have to avoid certain routes again! Regular bikes are not particularly kind on your joints and knees. This can be a problem if you are a little older and/or you suffer from joint pain already and it can actually really discourage someone from cycling at all. Electric bikes take some of that pressure off your body so you can still enjoy your ride and get some exercise without putting unnecessary pressure on your joints and causing yourself pain. Electric bikes can be used as manual bikes, but manual bikes can’t be used as electric bikes unless you buy and install the electric counterparts yourself. This means that you can still use your electric bike in the same way as you would use a normal bike and you will actually get a better workout because electric bikes tend to be heavier and will require more effort if used in manual mode. Electric bikes give you the freedom to choose whether you want a full workout, a medium workout or a light workout and they enable you to travel for longer and travel up hills without fear. Electric bikes basically give you everything a manual bike offers but with a lot of extra options. Electric bikes will obviously need to be charged and so they are not as eco-friendly as walking or riding a manual bike, but an electric bike is still a much greener option in comparison to cars, motorbikes or even public transport. Electric bikes run on batteries rather than petrol so you can avoid polluting the air as you travel, plus riding an electric bike will get you outdoors so you can start appreciating nature! Electric bikes are a good choice for people who would like to cut down on their carbon footprint and do their bit for the environment without having to exhaust themselves riding a regular bike every day. Manual bikes are not practical for people who are not fit enough to ride long distances or don’t have enough time to get from a to b without sacrificing more of their day, so electric bikes are a good alternative which can get you out of the car and into the world. Electric bikes are also obviously cheaper than cars because they do not require petrol. Are you worried that you’ll ride off into the distance, get tired and not have the energy to ride all the way back? Electric bikes take a lot of the pressure out of riding so you can go as far as you want without injuring yourself in the process! Manual bikes are great for exercise, but they might not help you make the best impression at work. If you want to start cycling to the office every day but you don’t want to turn up all sweaty and instantly have to jump in the shower then an electric bike can help. These bikes will help you keep your carbon footprint down, you can still enjoy the great outdoors and you can improve your fitness without becoming a social pariah in the workplace. Some people are put off cycling because they image it’s going to be exhausting, it will make their muscles sore and they don’t think they are fit enough to cycle for long periods of time. Electric bikes give you the freedom to learn to love cycling. You are able to put in as much or as little effort as you want so you can work towards fitness goals if you choose or you can just sit back, relax and enjoy the great outdoors. You may be unwilling to use an electric bike because you thin it’s ‘cheating’. This makes sense because if the electric motor takes all of the efforts out of riding then surely you will not be able to get a workout. If you want to improve on your fitness level and you’re hoping to use your bike to work out your thighs then why should you buy an electric bike if it defeats the entire purpose of buying a bike in the first place? The thing about electric bikes is that they are versatile. The electric motor is there if you need it, but you don’t have to use it all the time. If you want to take a regular bike ride without the pedal assist you can choose just to pedal. 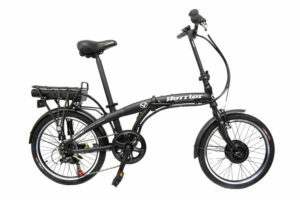 Electric bikes can be used as manual bikes, but manual bikes cannot be used as electric bikes. You can choose to use the pedal assist feature to help you ride, you can use the pedals to push yourself, or you can take the easy option and let the bike do most of the work. This gives you the option to ride for longer and it may help motivate you to start cycling because they can give you extra support that a regular bike just cannot give you.